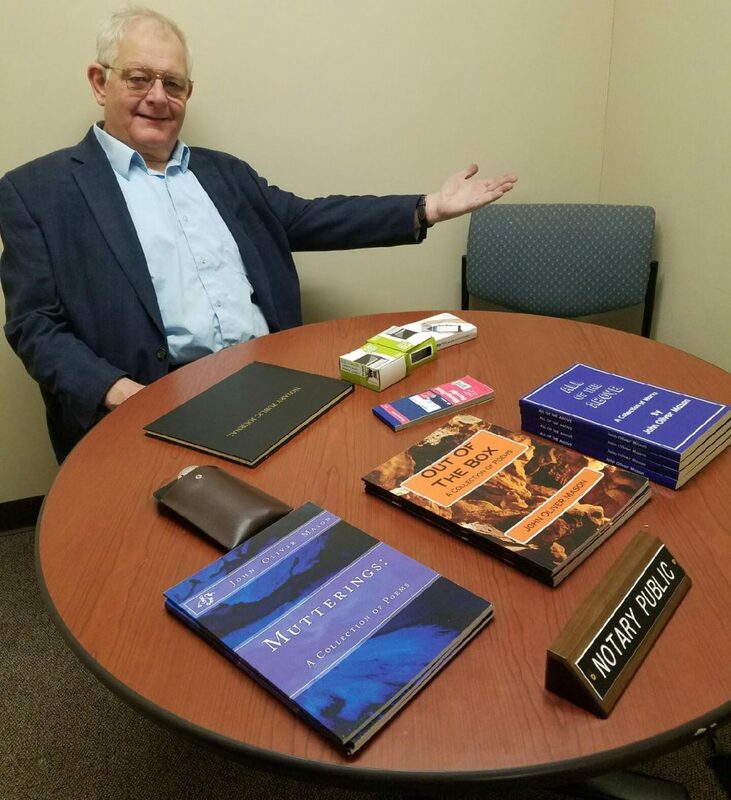 I will hold office hours for my notary work, and have copies of my books for sale, at 1500 Market Street, suite 700, from 12:00-3:00 PM, on Thursday, March 15, 2018. I would be happy to notarize your official documents. I will be one of the featured readers, along with Joe Roarty, Maryann Helferty, and Xander Fraumm at the poetry reading of the Moonstone Arts center, to be held at Fergie’s Pub, 1214 Sansom Street, at 7:00 PM, on Wednesday, March 28, 2018. For further information, please contact moonstoneartscenter.org. I will hold another book signing and poetry reading at Tattooed Mom, 530 South Street, from 7:00-9:00 PM, on Thursday, March 29, 2018.